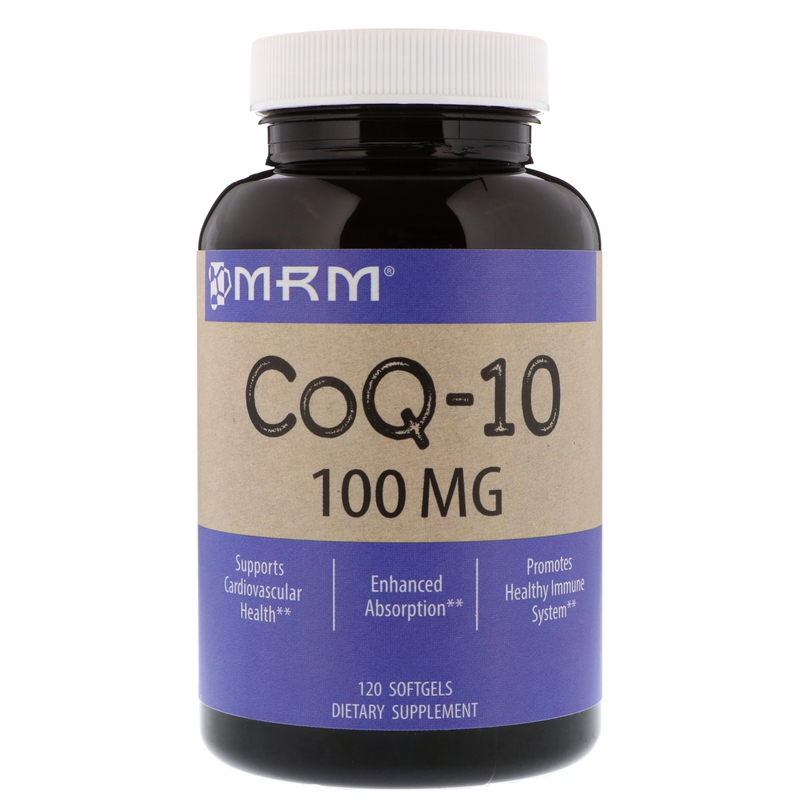 MRM has developed an all natural Pre-Emulsified Liposomal (PEL) delivery system form of fermented Coenzyme Q10. 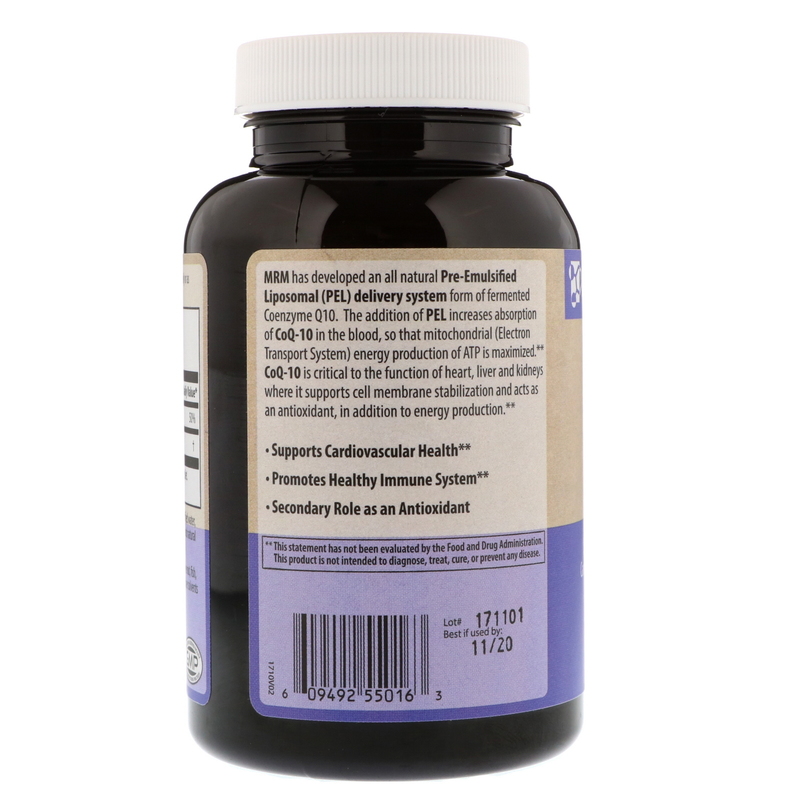 The addition of PEL increases absorption of CoQ-10 in the blood, so that mitochondrial (Electron Transport System) energy production of ATP is maximized. CoQ-10 is critical to the function of heart, liver and kidneys where it supports cell membrane stabilization and acts as an antioxidant, in addition to energy production. Take 1 softgel up to 3 times daily or as directed by your qualified healthcare provider. Softgel (gelatin, glycerin, purified water, and black carrot extract), soybean oil, soy lecithin, and natural beeswax. 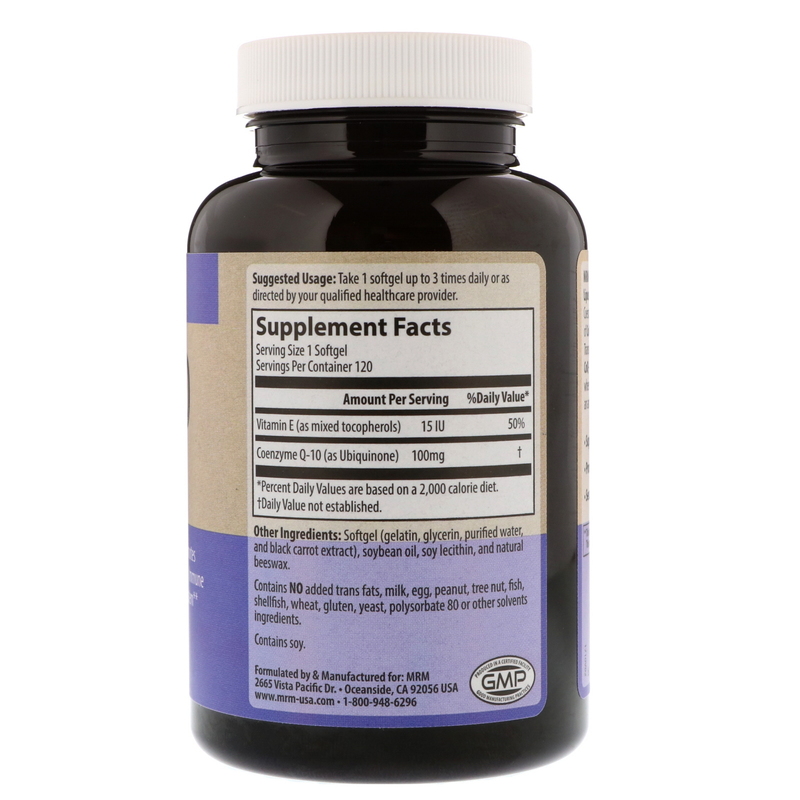 Contains NO added trans fats, milk, egg, peanut, tree nut, fish, shellfish, wheat, gluten, yeast, polysorbate 80 or other solvents ingredients.